Every stump grinding and removal job results in a great deal of wood chips and mulch. So where does all that material go? Much of it typically ends up being stored by the tree removal service that ground down the stumps. Few people realize those companies are happy to give away those wood chips to interested homeowners. Or if you have stumps ground down on your property, you are entitled to keep the wood chips for use in your gardens and flower beds. 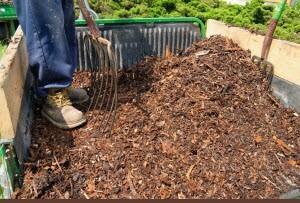 Wood chips are an easy way to spruce up your landscaping and provide a bit of organic fertilizer to the soil. Plus, a layer of wood chips on top of your gardens will help trap moisture in the dirt and reduce the need for frequent watering. All of that sounds super, right? But besides a free supply of wood chips, are there any other benefits of stump grinding and removal? You bet there are! 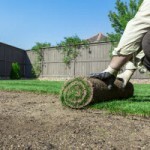 If you have stumps taking up space in your yard, there are several benefits to having them ground up. You surely already know they create an eyesore in your lawn. Plus, they create a nuisance in your landscaping work. You have to mow around the stumps, and then you have to use the weed whipper to cut the grass that grows up around them. And then, the stumps probably have tree shoots growing out of them every once in a while and you have to clip those off. If you would just have the stumps ground up, you wouldn’t have to worry about any of those hassles again. You could mow in straight lines and enjoy a more beautiful lawn. Another issue with stumps in yards is insects. Rotting tree stumps and roots attract bugs, including termites. The damage that termites can inflict on your home could be catastrophic. Simply having those stumps removed and ground up could save you thousands of dollars in repair bills down the road. For a more attractive lawn, to decrease your chances of a termite infestation, and to make your landscaping efforts a little easier, stump grinding can go a long way. All of these, plus a free pile of wood chips, should be enough motivation to make you stop putting off your stump grinding and removal project. Thunderstorm season is here, and trees come down during nearly every storm. Su-Tree is ready to answer your call, day or night. Whether you have an emergency tree situation on your hands, or if you simply want a quote, we are ready to help. Our crews will be glad to help you brighten your landscape by grinding your stumps, or delivering free wood chips to your home. Call Su-Tree at (404) 392-6935 for a free estimate on stump grinding and removal.